Lindsay Mason: More coffee break previews! You must think I am always taking coffee breaks! It's just a good time to post on here whilst I'm having ten minutes or so away from my work table....er....for table, read floor! 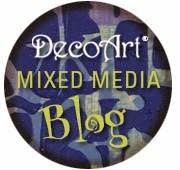 I just spread stuff out so far and wide when I work that it's simpler to work down there...keeps me flexible too! 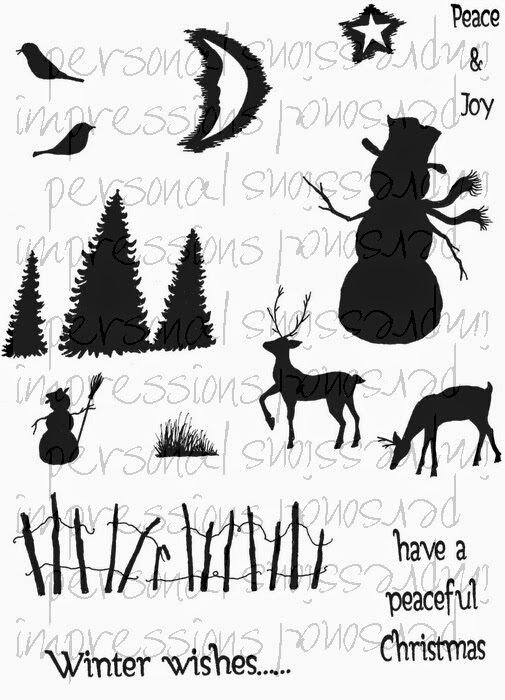 Anyway, here are some more previews of my new Christmas stamp sets. Thank you for all the lovely comments and emails that I've had about the ones I posted yesterday and, to answer some of the queries, they will be out sometime in July and will be available from any Personal Impressions stockist. If your nearest store doesn't have them, just make a note of the code number/s and ask them to order them for you. Okay, on with the next sets. 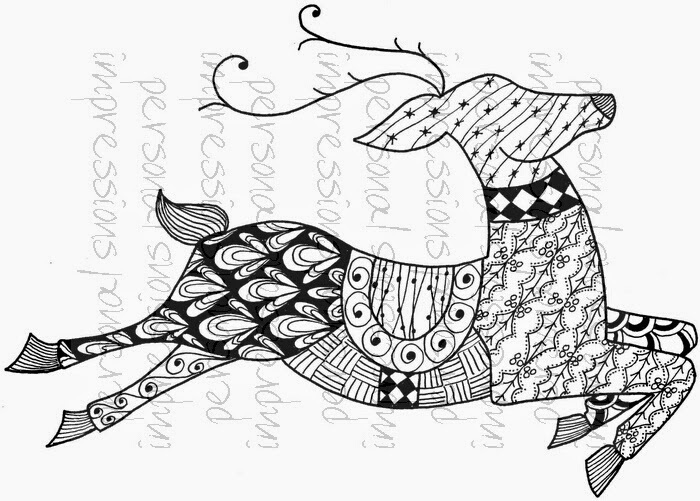 This first one is my "Zendoodle Reindeer Ready to Go" CICSA6311. 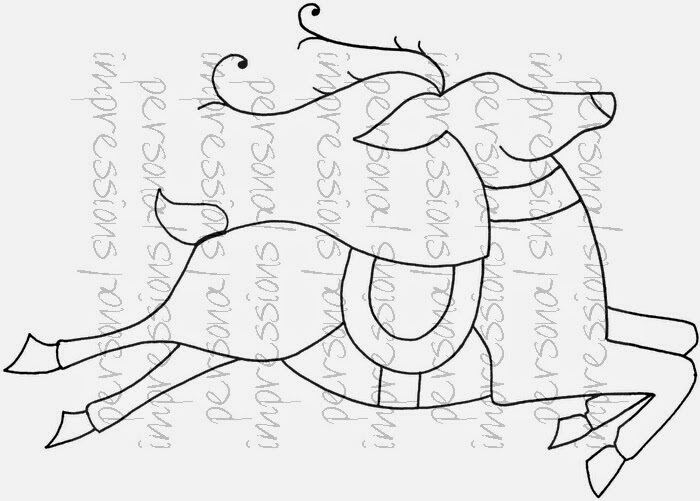 ...this one is "Zendoodle Reindeer" CICSA6309 and, as you can see, this gives you the outlined areas for infilling with your own doodle designs. 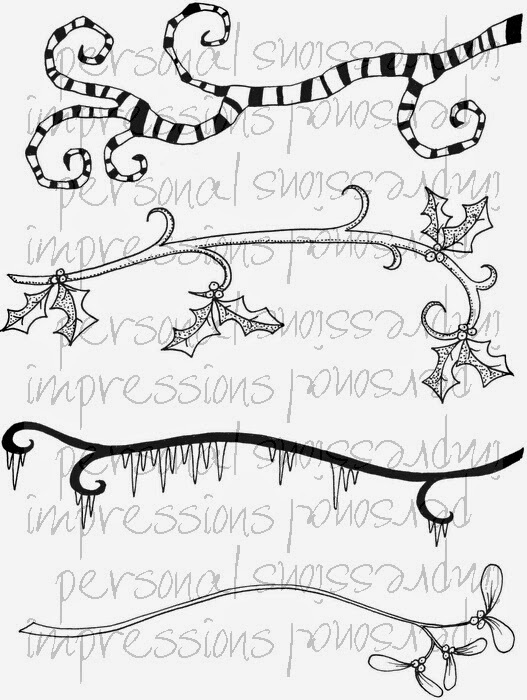 ....this set was in response to many requests for my stripey branch to be made as a stamp so I have added three other, more festive, variations as well. Of course the stripey one can be use all year round. Turn it through 45degrees and it works as a tree, seaweed etc. ....maybe it's because Heather is an expert sock knitter! 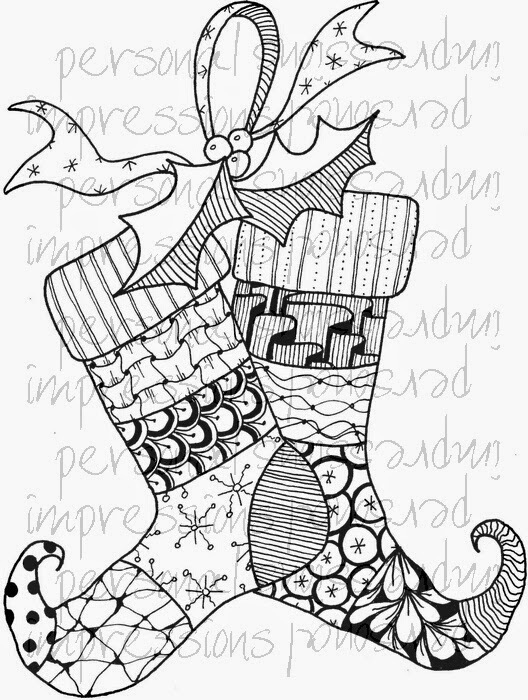 Anyway, this one is "Zendoodle Christmas Stockings" CICSA6321. Lots of scope for bright colouring, fine glitters and general fun with this set! 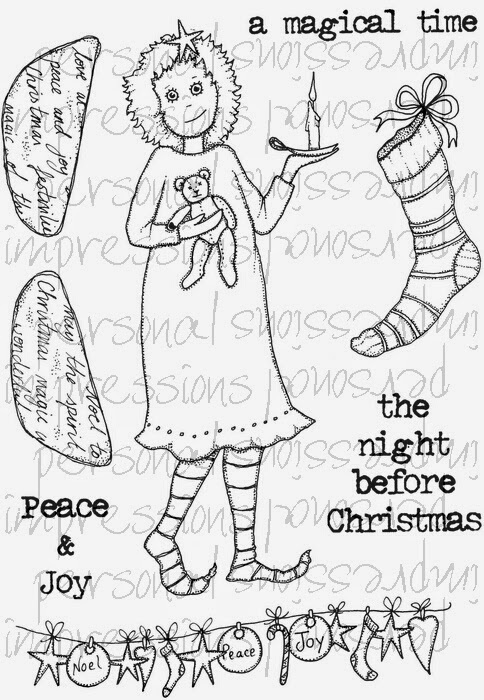 This set is called "Peaceful Christmas" CICSA6325 and I know that I'll be using this a lot in demonstrations and for my own cards this year. Dylusions ink spray backgrounds, Distress ink backgrounds and some white gel pen highlights....I can see them now! ....well, I had to, didn't I?! What a jazzy outfit! Next up are "Little Festive Houses" CICSA6329. 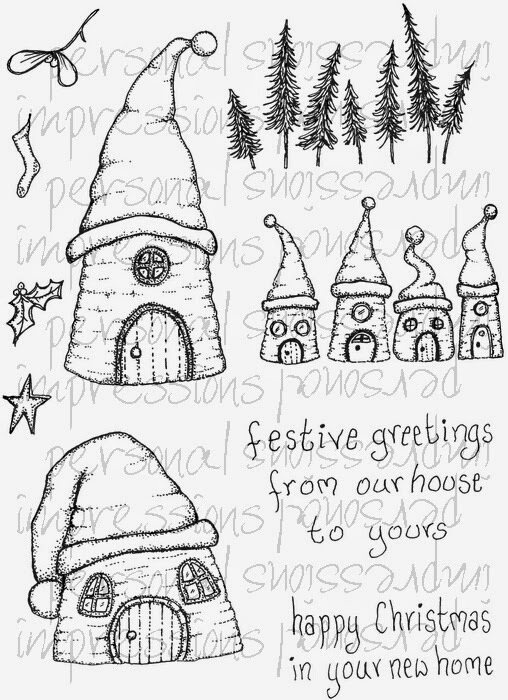 Ideal if you're sending cards to anyone having Christmas in a new home or the "our house to yours" cards of course. I'll be matching these with little snowmen and other characters. A big word now! 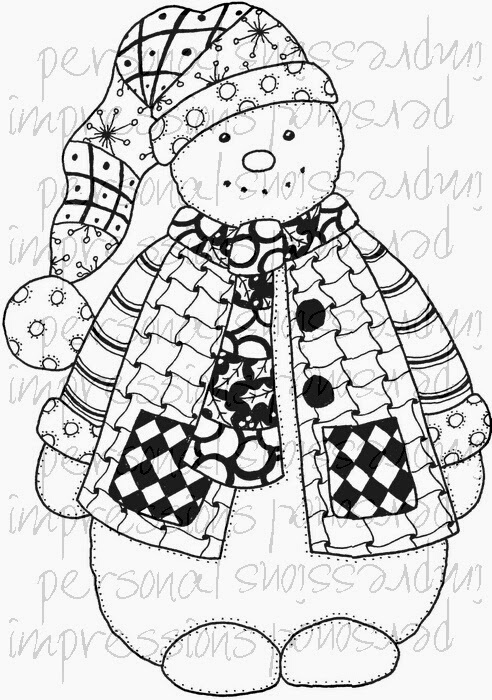 This is "Zendoodle Joy RTG" CICSA6317. 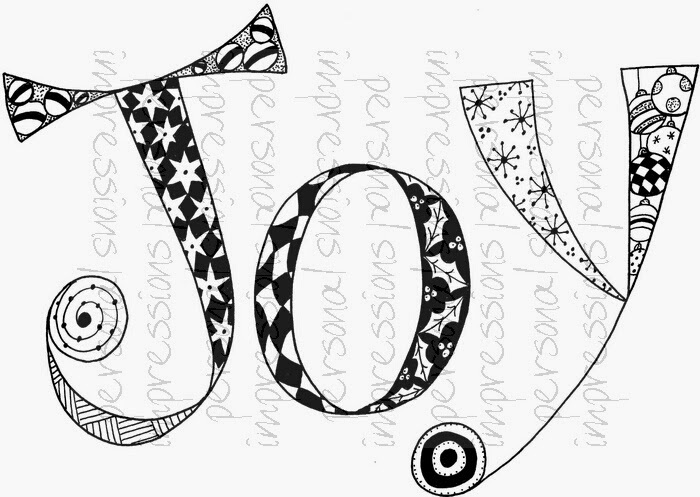 Lots of festive doodles within the letters on this one. ....this is "DLP Night Before Christmas" CICSA6334. Not sure about health and safety with her candle carrying technique! The candle can be cut away and replaced with anything else or she can even hold the stocking of course. She also has a pair of optional script wings that can, of course, be used with other figures. Well, that was an interrupted coffee break and posting session as my neighbour popped round for a chat so I will have to scarper now and catch up with myself....and make a fresh coffee too I think! I'll be off to Coventry first thing in the morning for my day at Daisy Jewels and Crafts teaching a workshop. So, I'll post some pictures of that when I get back.